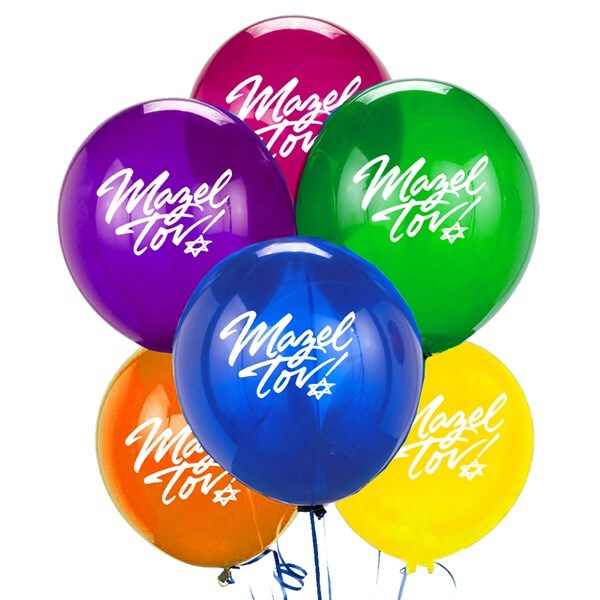 Rubber balloons, 10" inflated, with "Mazel Tov!" printed on them. (Red, purple, pink, green, orange, blue). Can hold helium for 12 hours.